Wolviston Post Office provide a Local Collect service which means that you can get parcels delivered direct to them, to hold until convenient to collect. It’s only for Amazon parcels – opt for local collect at Wolviston post office. Wolviston don’t accept any other couriers. If you aren’t in when the postman (Royal Mail) calls with a parcel or if something needs a signature it would automatically come back to Wolviston and you get a red card through the door. This has information about the item together with Wolviston PO contact details. Bring the card with you when you collect, parcels are available on the next day. It’s the same with the ParcelForce. For further information and queries please contact 01740 644272. 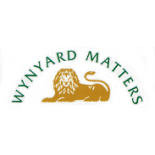 Wynyard Pharmacy – open Monday to Friday only, are a drop off point for DHL items.